NFL Shop: "HEY YOU! BUY STEELERS STUFF!!" Ravens fans, consider yourselves warned…this investigative report will expose the NFL’s love of the Pittsburgh Steelers at the highest levels. After being the easiest person to shop for in the history of holiday shopping, I think I’m going to change up my approach this year. If you have ever seen my wardrobe collection or Ravens room, it’s quite obvious that I am one of the NFL’s best customers. This season has been great for the Ravens when it comes to the Steelers so far, but the anger that courses through my veins every time I see their logo remains at an all time high. When I received the latest catalog from NFLShop, I basically found myself thumbing through 58 pages of fury. While picking out potential items for Christmas, I do not want to have to substitute a Ravens logo over a Steelers logo in my mind. 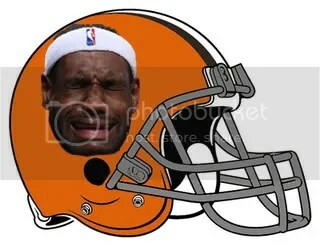 Unfortunately, that’s exactly what most people will have to do, regardless of who your favorite team may be. People may call me crazy or biased on this approach but I wanted to justify this to myself and prove that I’m onto something .Or, maybe I am just starting to go a little overboard when it comes to my dire hate towards Western Pennsylvania Towel Wavers. Whatever. I sat at my desk and counted every single standalone item in the latest NFLShop catalog. Excluded from my count are staged “themed rooms” overloaded with merchandise, the cover, and any uniform spread that featured all 32 teams. Now, the covers of these magazines will be different depending on which region of the country you live in. I am still baffled that every magazine I receive has Steelers related merchandise on the cover even though I live in North Carolina and am two hours from the Panthers. Guess which team was featured the most? 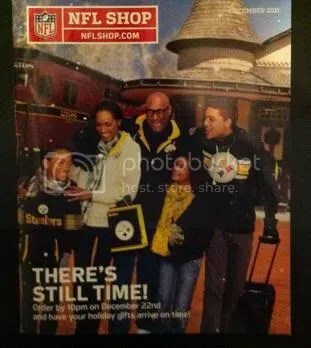 Throughout the catalog, the Steelers had 28 standalone items featured.The (SUPER BOWL CHAMPION!) Green Bay Packers and Chicago Bears with next with 22 items each. Having six items more than the second place teams may not seem like all that much, but let’s also take into account that a full 40% (13) of NFL teams teams didn’t even have six items featured TOTAL. 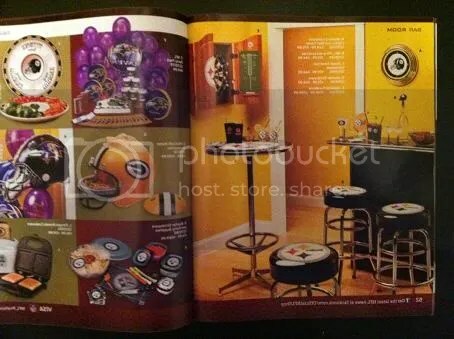 Let’s also take note (but not factor into the statistics) that the Steelers also had a full page spread of Steelers themed game room in addition to the aforementioned cover. The average amount of items per team was 9.03 and only 13 of the 32 franchises had more than ten total impressions. 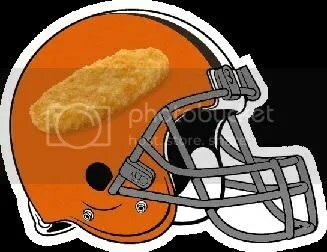 For those wondering, the Ravens finished with 11. Even if I didn’t dislike the Steelers so much, I would be disappointed as a fan of many other teams that received limited or no exposure. The Jaguars, Titans and Lions were only featured twice. The Panthers, Buccaneers and Seahawks were only featured once—and the Cardinals and Rams weren’t shown at all. 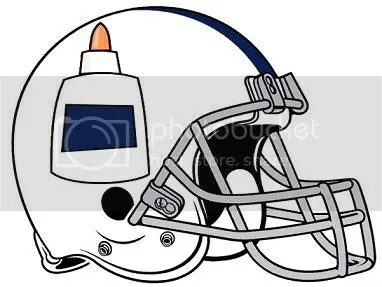 Regardless if the team is good or not, the NFL should at least take pride in the team logos and creative merchandise seen on the sidelines each Sunday. Showing little or nothing of a team’s merchandise isn’t good for either business or the fan base. NFL licensed apparel is expensive and I want to have a pretty decent idea of what the item is going to look like before I purchase it. The internet is a very easy alternative but why have a catalog if you’re just going to push everyone online to begin with? I know the NFL has plenty of money and won’t really hurt by me asking for other things besides Ravens merchandise this holiday season. 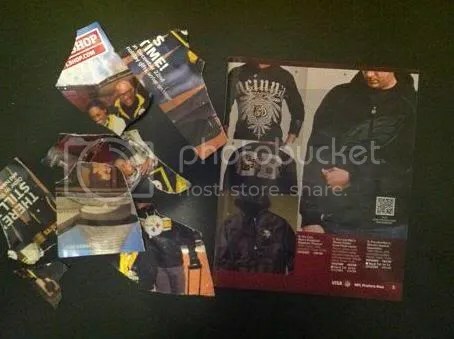 However, they did make it an easy decision when they filled my mailbox with a Steelers-filled catalog of junk. I now have something else to wipe my hindquarters with besides a terrible towel. Thanks NFL! 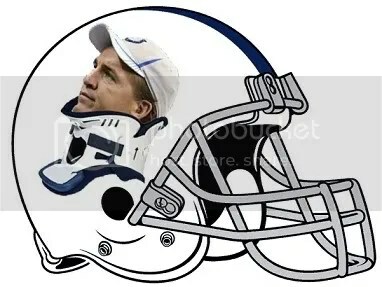 Colts fans would sure like to forget the 2011 season as quickly as possible. 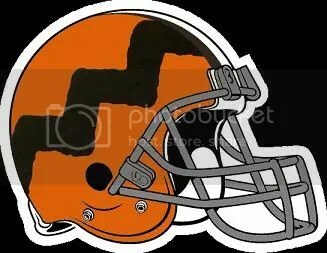 That’s why we at B’More Birds’ Nest, in order to make sure that doesn’t happen, have done our best “weird commemorative plate commercial” impression and put together some commemorative logos to make sure they never, never forget the season that they (hopefully) became just the second 0-16 team in NFL history. What a bunch of zeroes! 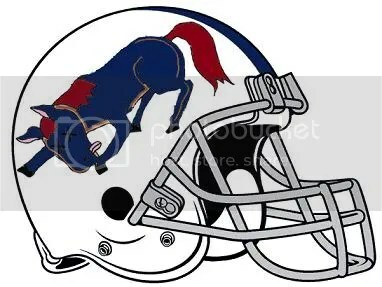 When Indy comes to town this Sunday, the Ravens hope to “beat a dead horse!” ZING! Finally, let’s all remember the reason this is all happening…. Woof, that’s one ugly light. 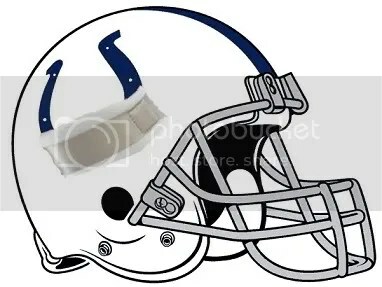 Fat Humps: In order to receive your own commemorative 2011 Colts helmets, simply print out this page, cut out your favorites, and use the product shown on helmet #3 to attach them to your finest china. 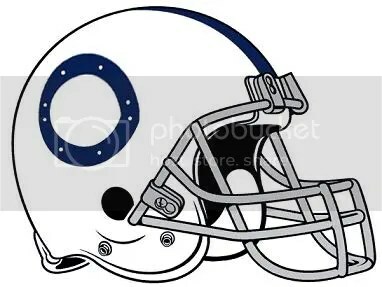 Proceed to slide the now timeless paper plate underneath your favorite order from the design on helmet #4! Feel free to use them as you watch the Ravens beat the tar out of your team this weekend! When Drew Carey took over “The Price is Right” hosting duties from the legendary Bob Barker, that was all Goob needed to forever hate that place. 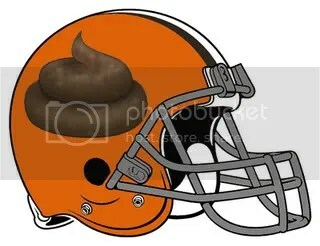 Did you see the Cleveland fan that posted a video yelling at Browns Stadium for being a “factory of sadness?” Well, we think the stadium deserves a chance to respond! Feast your eyes on some Goobvision. For Ravens fans, Seven Nation Army has been a huge hit. T-shirts have been made, the song can be heard blaring at any tailgate lot, and Ravens fans can’t stop chanting.. Ever hear how too much of a good thing is bad? Well this is a perfect example. When used at the right time, Seven Nation Army chant is intimidating for opposing teams and fuels up the Ravens defense. The major problem is, this chant is being orchestrated at least three times each game, even as early as the second quarter. The reason for its success during Pittsburgh was because the song was played once and also as a celebration for the teams performance; easily 95% of Ravens fans were chanting along. Now that the song was effective, its now overplayed and has only about 45% of the stadium chanting during each of its three plays per game. The Ravens get the credit for bringing this chant to the NFL but they aren’t to be credited for its inception into sporting venues. Seven Nation Army is really popular amongst soccer fans in Europe and they’ve been chanting it for over eight years. The past two years, colleges including Michigan, Ohio State and Penn State have all used the song. Hopefully the Ravens make the adjustment and tone back the amount of times this tune is played. There is no doubt that Seven Nation Army is a fun chant and is a great way to fire up a crowd. As more teams see its effectiveness, they’ll adopt it in their stadiums as well. Eventually this chant will lose its uniqueness and will be retired from the playlist. We’ll just have to wait and see when Seven Nation Army has lost its flare but the one way it’ll be shown the express lane to retirement is if it’s played in Pittsburgh. Maybe the Steelers “Game Day DJ” will want to reenact this scene when Notre Dame played in Michigan earlier this year. 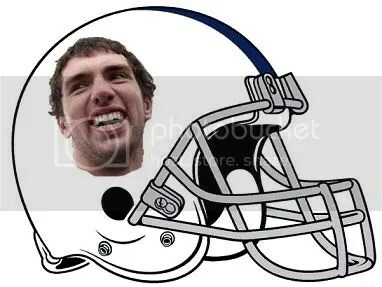 Ravens fans will then be cheering…. Steelers Fans Try to "Slam" GOOBVISION? Please. Does everything a Steelers’fan says have to involve the number six? Steelers blogger Dale Grdnic, asked SIX times for me to “come talk to [you]”, so here I am! I was going to go easy on you because I know Steelers24x7 is in its infant stage as a website and I thought the same was true for its writers… I’m so happy I was wrong! You’ve published a book titled Pittsburgh Steelers Glory Days and have been a “writer” for over 15 years? Wow, I figured with all of that experience under your belt, you would put a little more effort into your error-filled article. 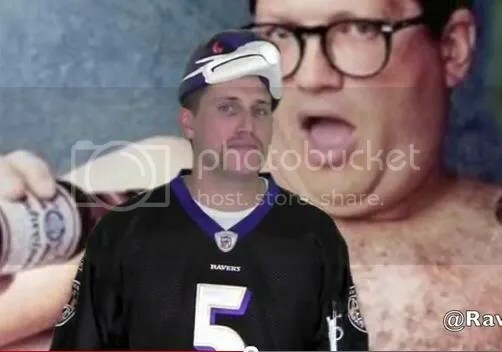 Every Steelers fan missed the point of this video and my intentions for filming it. I am in agreement that someone doesn’t have to be from their favorite team’s home market to justify themselves as a fan. My sole purpose of this video was to show the lack of knowledge by the same people who default to the amount of Super Bowl championships their team has won as their only argument. A foolproof way to weed through “real” fans versus “fair-weather” fans is to ask basic questions about the franchise they cheer for. I’m not asking for the waist sizes of the Steel Curtain, I’m asking basic team information. There is a clear epidemic going on in the NFL and that is why so many people are fans of one team, and a successful one at that. The overwhelming presence of one fan base from people with no affiliation to the town the team is from versus the other 31 NFL franchises is staggering. Dale, let’s take a look at what you said and why you bother me. Sammy’s is home to the Steel Triangle Fan Club, and hosts 200-300 Steelers fans each game; this club is a “dues-paying membership organization”. I don’t know how many people who are “not typical Steelers fans”, would pay money to sit together and watch football games in a bar. Comparing the success of an older franchise versus a younger one isn’t necessarily accurate. Time has been on the Steelers side and who’s to say the Ravens can’t win five more Super Bowls in 63 years? 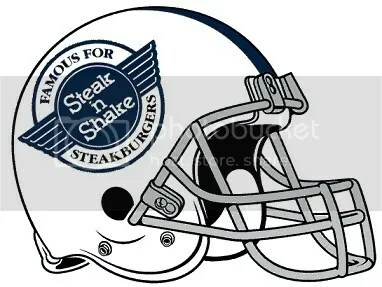 After 78 years as a franchise, the Steelers needed to have some success or championships before their franchise was relocated; the success of the franchise has depended heavily on the second half of their existence. The one Super Bowl the Ravens have in their first five years is far more impressive than the 14 years it took the Steelers to make their first playoff appearance. Oh by the way, it also took the Steelers 41 years until they won their first Super Bowl. Dale, may I please talk? Thank you! Joe has a 4-3 playoff record and unless I missed something huge (like you did), I’m pretty sure that’s a winning record. I’ve wished many things on Steelers fans but death isn’t one of them. Please take a breath because that team isn’t worth your life. Really? You’re making this too easy on me Dale. The Steelers are 6-2 and are on top of the AFC only because you haven’t had your bye week yet; the Ravens would own a tiebreaker with the Steelers because they did happen to beat them head to head. The Ravens are 5-2 (not 4-2) and have lost both games to opponents the Steelers beat. 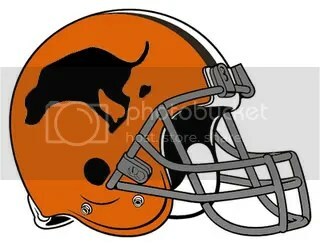 Not only did the Steelers lose to Baltimore, they lost to the Texans, who we beat. Determining a team’s success head to head based off of common opponents shows you do not know what you’re talking about. If you do want to stick with that theory, how does losing to the Ravens 35-7 factor in? Dale, may I speak again? In reference to your comment, the Ravens have TWO wins in Pittsburgh since 2001. For the sake of argument and since Steelers fans love pointing out our one Super Bowl, let’s just look at the decade. The Steelers are dominant at home, and we’ll admit that, but please get your facts straight. Guess what… I’m talking to you again! The Ravens have sold out EVERY home game since the franchise came to Baltimore in 1996. M&T Bank Stadium has a capacity of over 6,000 more seats than Heinz Field and the Ravens also have a huge season ticket wait list. I live five hours from M&T Bank Stadium; I’ve attended at least 4 home games and 2 away games per year while living in North Carolina. My season tickets have DOUBLED in price in the past four years from $45 to $90 so I understand what the impact is. You blame the failing of the steel industry for the spread of Steelers fans nationwide and now you want to cry poverty too? C’mon Man! Do we see a trend here? 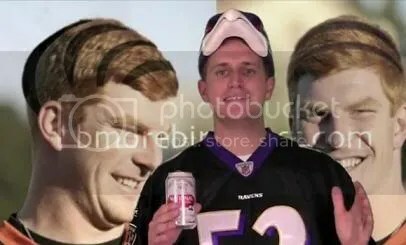 Based off of all the times you’ve invited me previously to “come talk to [you] about it”, things should look good for the Ravens on Sunday. Dale, you’ve frankly wasted my time but also inspired me to write a book. Apparently publishing companies are handing out deals to people with ZERO credibility. For those doubting the accuracy of my video: Everyone I interviewed was shown in the video except for the owner of the bar. I didn’t edit the responses or questions to make the people look stupid; I edited them to help the video flow based off the questions they were asked. Only three of those people (girl, Steelers t-shirt and guy under the TV) had been to more than two games. Only one person actually was from Pittsburgh (girl). Luckily for “Steelers Nation”, I didn’t post more of the questions for time purposes. No one else had a correct answer and I actually spared you from more embarrassment. You are currently browsing the archives for the Hating category.